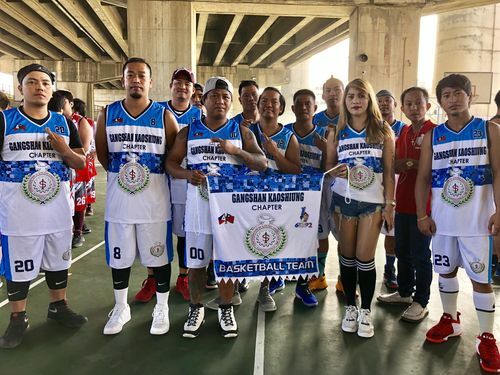 The Taiwan chapter of the Confederation of Ilocano Association, Inc., Samahang Ilokano (CIASI), an international Filipino organization that aims to help its members in different countries and host societies, organized a two-day basketball tournament Feb. 6-7, in Taipei to promote unity and to strengthen the sporting ability of its members. CIASI Taiwan National Chairman Rheden Delumen (left) makes a speech at the event. The CIASI Taiwan Chapter was established on Aug. 19, 2007 in Taipei and has since spread across the country with 11 sub-chapters and 600 active members today. 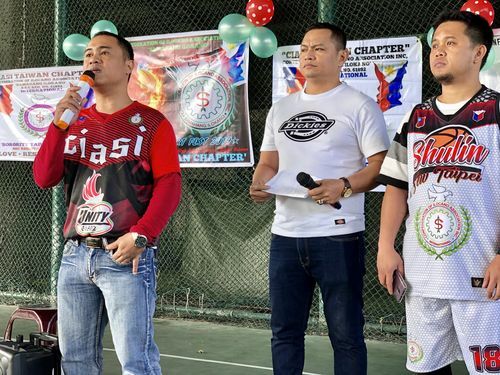 Manila Economic and Cultural Office (MECO) Deputy Director Nestor Mayo (center) was invited to speak at the opening ceremony, which was attended by players from the 11 sub-chapters, supporters and other important members of the Filipino community in Taiwan. 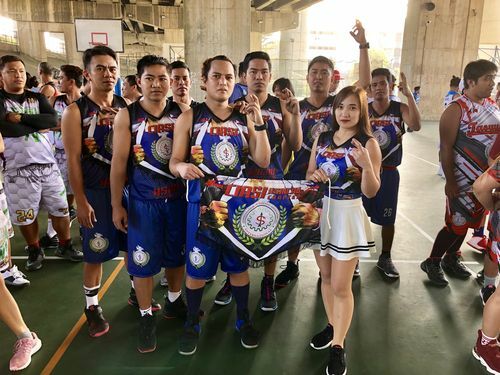 Members of CIASI Chungli sub-chapter from Taoyuan pose for photos. 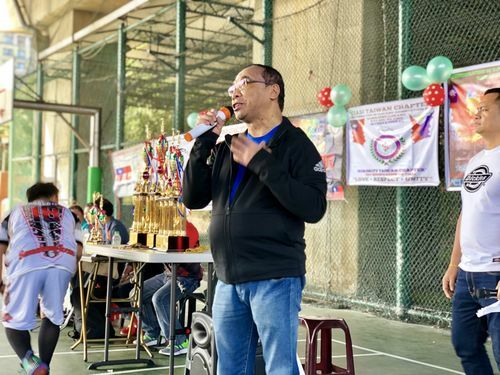 During the opening ceremony, "muses" accompanied their respective teams as they presented themselves to a panel of judges who decided which team should receive the "Best In Muse" and "Best in Uniform" trophies. CIASI Hsinchu sub-chapter's "muse" interacts with the judges. Each of the 11 teams has its own "muse." "Muses" from CIASI Taoyuan's Nankan and Tainan sub-chapters display their team banners at the opening ceremony. 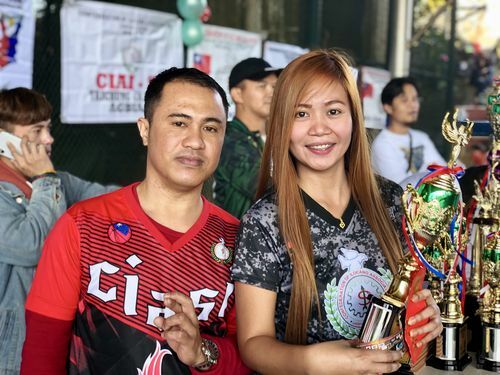 Delumen (left) presents the "Best in Muse" trophy to Raquel Pattung, the "muse" from the CIASI Tainan sub-chapter. The "muses" were judged on their interpersonal skills (30 percent), poise and appearance (30 percent), confidence (30 percent) and audience impact (10 percent). 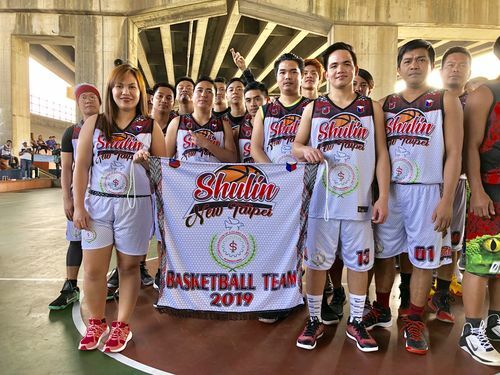 CIASI Shulin sub-chapter from New Taipei received the "Best in Uniform" trophy for the best uniform at the event. 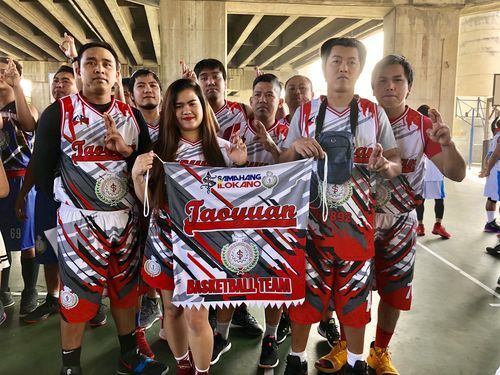 Carl Michael Millan, team coach and point guard, said one element of the uniform design is the skin of a snake, which is also part of the CIASI logo. 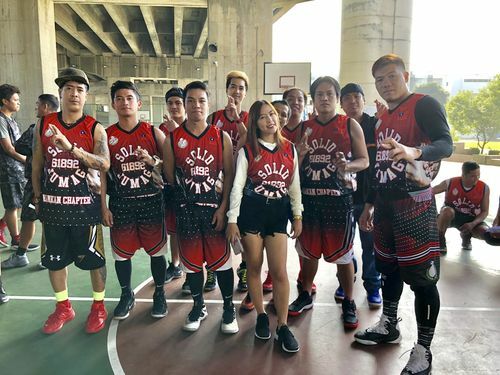 CIASI Daliao sub-chapter from Kaohsiung poses for photos. 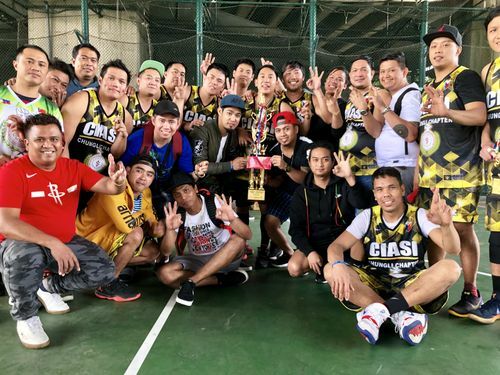 CIASI Gangshan sub-chapter from Kaohsiung. 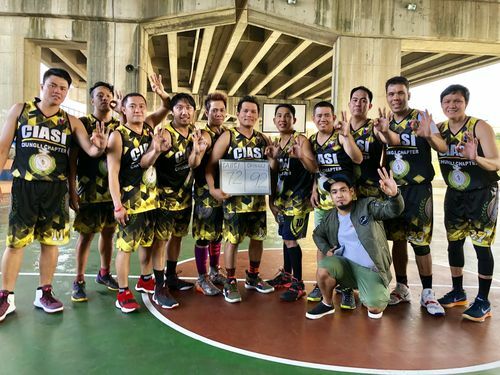 CIASI Nankan sub-chapter from Taoyuan. 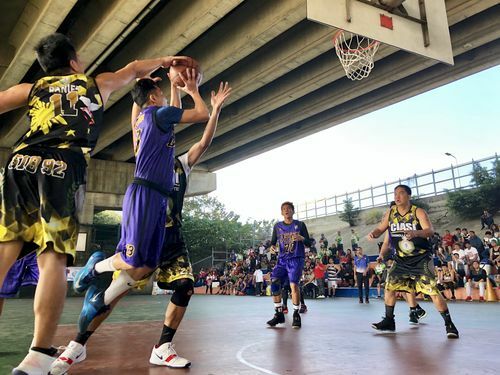 The playoffs were played on the second day of the tournament with CIASI Taipei and Chungli sub-chapters reaching the final. 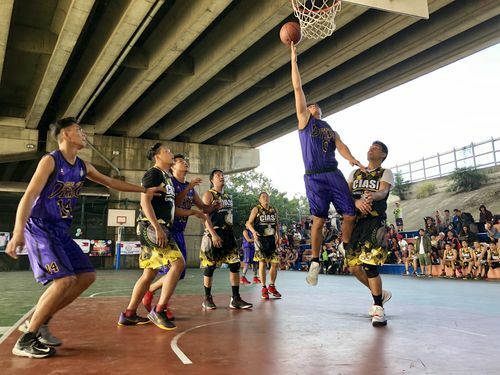 A player from CIASI Taipei sub-chapter attempts a jump shot while double-teamed by defenders from Chungli. 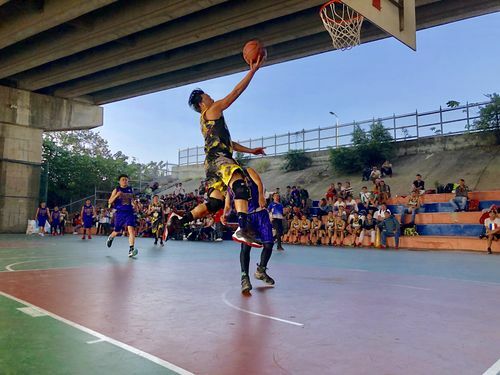 A player from Chungli takes a layup to the basket. 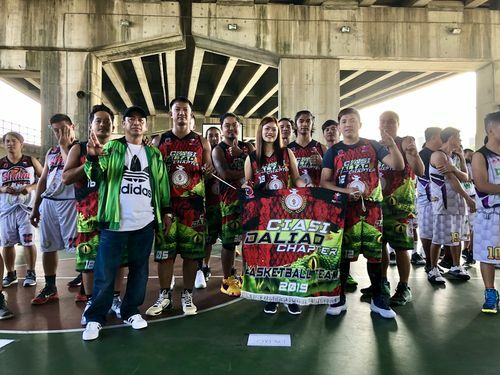 Chungli defeats Taipei 92-72 to take the championship. Taipei took first runner up while Ganshan and Daliao won second and third runner's up, respectively. 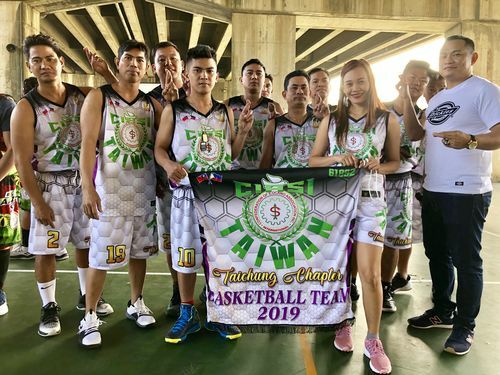 CIASI Chungli sub-chapter from Taoyuan and their supporters celebrate with the trophy. 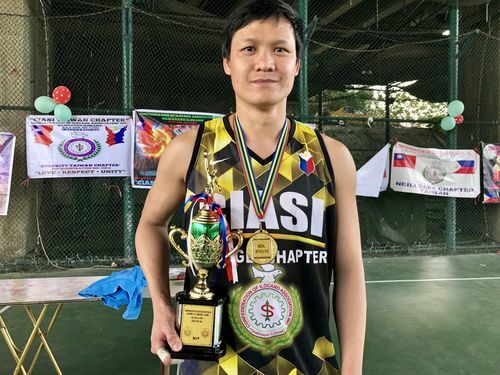 Windell Bumanglag, from CIASI Chungli sub-chapter received the most valuable player (MVP) award at the competition. 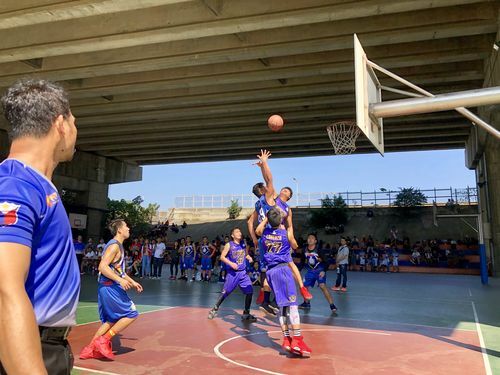 The annual sporting event was in its fourth year.